Paper Tinkering at STEAM Preschool! This week with our Preschoolers, we explored how the properties of paper change when you roll, rip, fold, and crumple it. 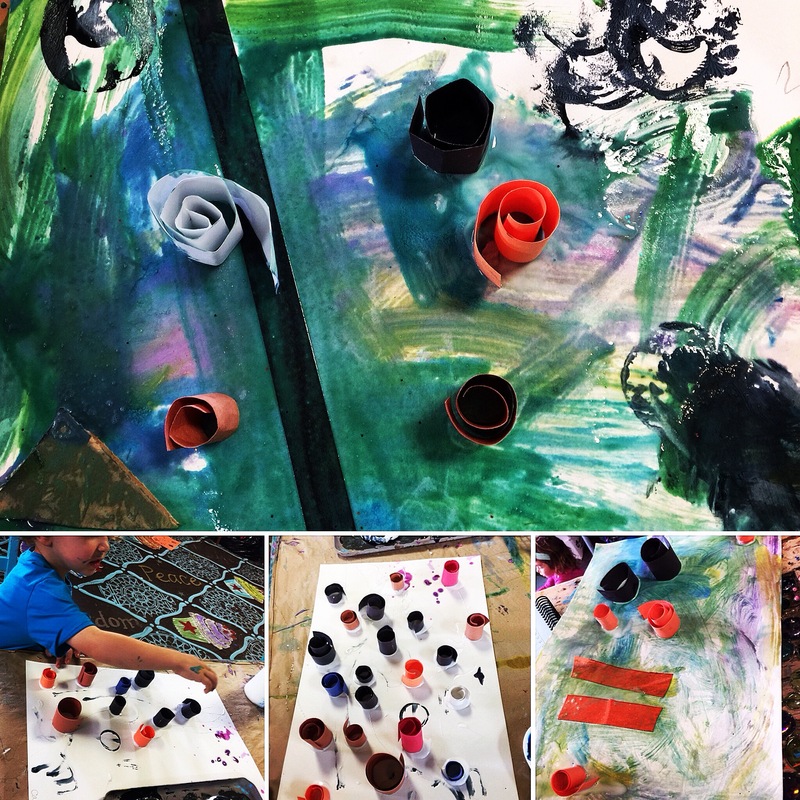 Curling it up and gluing it on a background we finger painted turned into quite a beautiful collage also!